So I talk a lot about authority marketing to my small business marketing peeps, but I don’t think I have ever spelled it out here. Not sure this is the “official version”, I just know what works for biz owners on a practical basis. 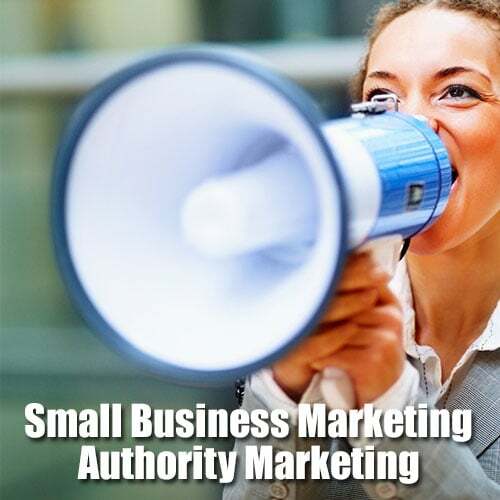 First off, what is authority marketing? It is taking the best bits of your business and becoming a champion of those pieces! In the world of marketing, this could be construed as my USP (unique selling proposition), but in my world, it is just what I do, day in and day out. So how does that transfer to your small business? First off, I firmly believe you have to love your industry. You have to read about it, write about it and immerse yourself into the culture of whatever business you choose. While there is some talk out there about choosing profitable industries, I think that anything can be profitable if you care and then leverage that caring into something that people want to buy. Sign up for newsletters from your competitors. DO NOT copy them, but use their info as a springboard to figure out what to write and talk about. Attend industry events. It can be easy to get so busy working that you are not out there keeping on the edge of your industry. Knowing what is new and exciting about your industry is vital. Share your knowledge. This is a HUGE one! When I am getting ready to write a post, I will oftentimes look around to see what other people think about it. If you are a thought leader in your industry, you WILL get opportunities that you did not even know existed. Be excited. If you are not excited about what is going on, how can you expect anyone else to get excited? While it is hard for me to believe, not everyone loves marketing. That does not stop me from carrying on about it and my enthusiasm has caused some other people to care…that is being a champion for your industry. Don’t worry about the people who don’t care. One of the hardest things in business is try and convince someone to care who doesn’t. Stop trying to convert the non-carers and focus on your biggest advocates PLUS the people on the fringes who could care if you explain how exciting it is. You will never sell your product or service to world, focus on selling it to the people who need or want it and forget the rest. Get off the internet and get out the door. When I meet someone in real life who only knows me from online, I think they think I am just some person who writes emails and blog posts in some far away land (like the great and powerful Oz). It may surprise you know that I do at least one if not more big events a month, and many small speaking events (at least 6). This is because being insulated online (at home alone) stagnates you and dulls your skills. It is only when you are talking face to face with people that you can see their reactions and know how your message is really being received. So, now you have all this knowledge, how are you going to get it out there to the masses who want to buy what you are selling? Write a book. Sigh, this has been on my to-do list forever, but it is actually a great way to VASTLY increase your knowledge and credibility. Blog about it. The number one, easiest way to start spreading your influence. The thing is to be consistent and make sure to always provide value. Webinars. The cost of this technology is so small as to be almost a non-issue. Start doing great webinars, tape them and then let them spread. Videos. If you are excited about your industry, let it out in videos. They can be screen capture or just you talking. Start this one TODAY. Social media. Get on them, start talking and you will grow a following of people who are interested in what you have to say. Share your ideas as well as OPS (other people’s stuff). In person. Go to networking events and talk about your biz. See what people think and be interesting. Have an email plan. Not a plain jane newsletter, but actual info about your industry that people will want to read. Okay, that is enough to get you started. Now go do something! PS – When you are starting your authority marketing, no one will care. They will be busy doing whatever it is that they were doing before you decided to start and will need a while to figure out that you are out there. DO NOT get sad or disappointed. It takes time and consistency to become an industry leader and it will not happen overnight, but if you start today, you will be ahead of everyone else that hasn’t (and probably won’t start). Remember that every person who you influence, who notices that you are doing something has the ability to share your message with someone else, and so on and so on.